These wireless headphones can also broadcast your music to other Bluetooth headphones, letting you share the fun with friends. 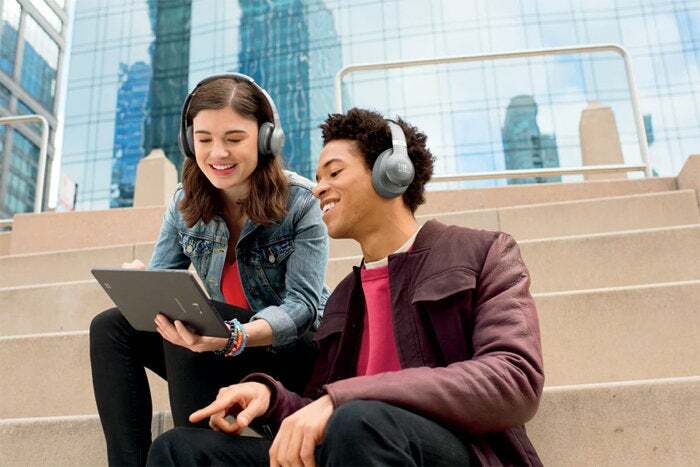 More and more people are wearing headphones as they go about their daily lives. These mainstays of personal audio have evolved over the years, becoming untethered by wires while improving their sound quality and adding new and useful features. The JBL Everest 710GA is a perfect case in point, promising exceptional sound quality and a host of features—including Google Assistant—all without cumbersome cables. 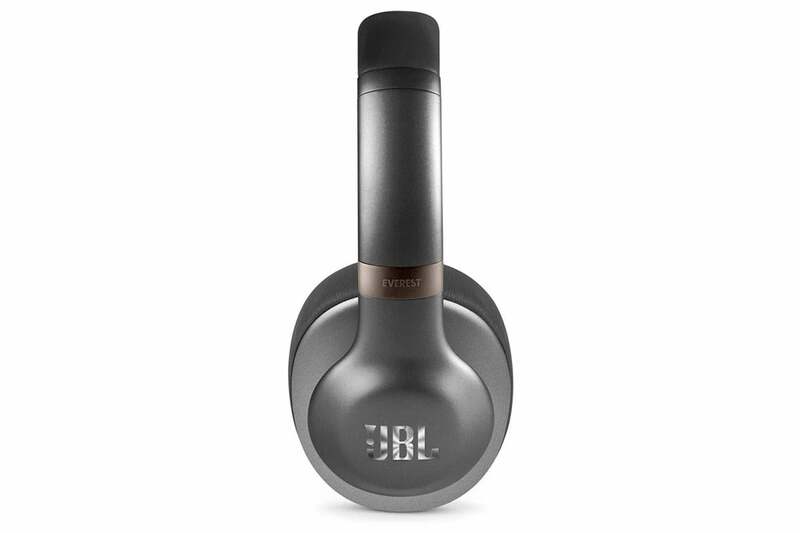 The JBL Everest 710GA over-ear headphones use 40mm full-range drivers to reproduce frequencies from 10Hz to 22kHz with a maximum SPL (sound pressure level) of 111dB. (Listening at that level will damage your hearing in a few minutes, so be careful!) The padded earcups and headband are designed for maximum comfort, and the earcups fold flat into the headband for storage in the included hard-shell case. As with most wireless headphones, Bluetooth is the primary way to feed audio to the Everest 710GA. They support Bluetooth 4.2 using several profiles, including A2DP 1.3, AVRCP 1.6, HFP 1.7, and HSP 1.2. There is no support, however, for codecs that support high-resolution streaming; e.g., aptX HD or LDAC. Interestingly, two source devices can be connected at the same time. The first one that starts playing gets priority, but when it stops, the other one can jump in. A feature called ShareMe 2.0 transmits your music to other Bluetooth headphones. 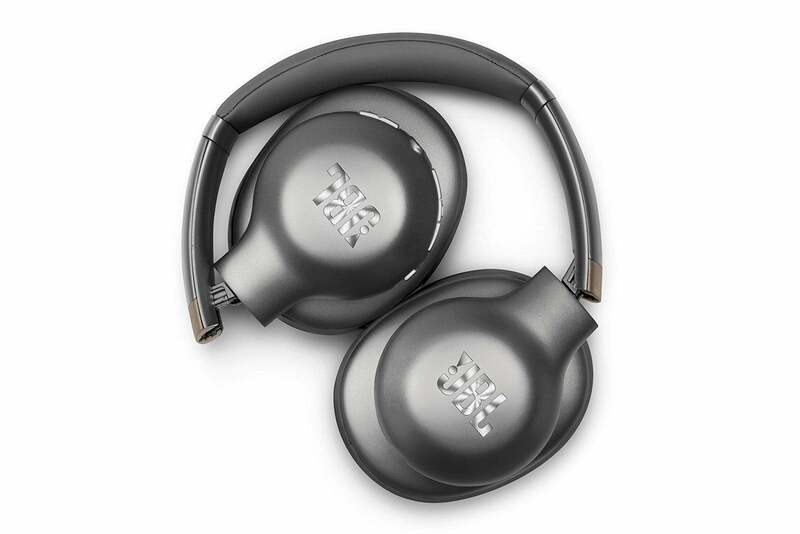 In addition, the Everest 710GA offers JBL’s ShareMe 2.0 technology, which lets it broadcast a Bluetooth signal to other Bluetooth headphones of any brand. The transmitter power can reach up to 4dBm (2.5mW) in a frequency range from 2.402- to 2.480GHz using GFSK, π/4 DQPSK, and 8DPSK modulation. This obviates the isolating nature of headphones, allowing several people to share the same musical experience. The Bluetooth and built-in audio amplifier are powered by a polymer lithium-ion battery rated at 3.7V/850mWh. It takes two hours to charge the battery, which then provides up to 25 hours of play time. Of course, broadcasting with ShareMe 2.0 will drain the battery faster. The Everest 710GA also includes an echo-cancelling microphone, allowing it to be used for hands-free phone calls. According to JBL, if a phone call comes in, the ShareMe function is disabled so any connected headphones don’t play the conversation. The JBL Everest 710GA come with an analog-audio cable, USB charging cable, and a hard-shell case to hold it all. The microphone also enables the use of Google Assistant to control the music playback with voice commands and receive notifications without glancing at your phone. Android phones have Google Assistant built in, while iPhones require the Google Assistant app to be installed for this feature to work. Most of the controls are found on the back edge of the right earcup. These include the power button (which is really a snap-back slider) that includes a light to indicate power and Bluetooth status: white for power on, blinking blue when pairing, and solid blue when paired. Below that are two long buttons flanking a smaller button, which has a raised bump on it so you can find it by feel. The long buttons let you increase or decrease the volume; if you hold them longer than three seconds, they skip forward or back to the next or preceding track. The central button between them starts or pauses playback. If you get a phone call while listening, pressing that button answers the phone, and pressing it again hangs up. A 3.5mm analog-audio input at the bottom of the earcup lets you connect an audio cable. The Everest 710GA comes with just such a cable that includes an inline control, which comes in handy if you want to play music from a non-Bluetooth device. Here you can see the power on/off snap-back slider, below which are the volume/track up/down buttons flanking the play/pause button. A 3.5mm connector at the bottom of the right earcup lets you use a cable, and two button on the other side of the connector activate Bluetooth pairing and ShareMe broadcasting. On the other side of the audio input are two more buttons. One initiates Bluetooth pairing by holding it for five seconds. The other one activates ShareMe to broadcast the audio to other Bluetooth headphones that have been paired with the Everest 710GA. At the bottom of the left earcup is a Micro-USB port for charging the battery and a red LED that indicates low battery (slow flashing), charging in progress (steady), and fully charged (off). 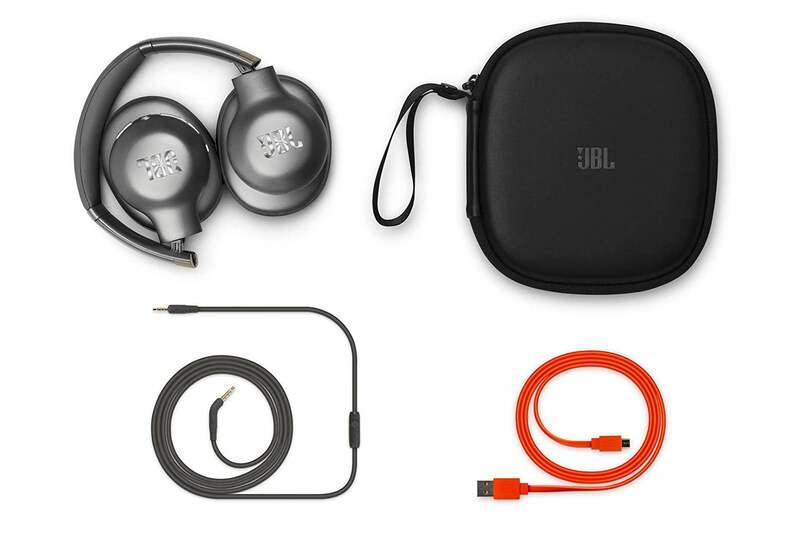 In addition, the JBL logo on the left earcup is touch-sensitive: holding it lets you speak to Google Assistant and reply to messages, while tapping it retrieves your notifications. Double tapping stops Google Assistant. You can also activate Google Assistant by pressing the play/pause button twice. After charging the battery, the first time I turned the power on, the Everest 710GA immediately went into Bluetooth pairing mode. I paired it with my iPhone 6, which went without a hitch. The Everest 710GA feature a generously padded headband and earcups, making them comfortable to wear for long listening sessions. I started my listening with Bach’s Fugue in G Minor (the “Little”) from the Canadian Brass album Takes Flight. The virtuosic brass quintet (two trumpets, French horn, trombone, tuba) makes playing this devilishly difficult arrangement seem effortless, an effect that extends to the Everest 710GA’s reproduction. The sound is rich and open, and each instrument is clearly delineated, showcasing the players’ exceptional skill and musicality. Next up was “¡Yo!” from the album of the same name by Jim Self and the Tricky Lix Latin Jazz Band. Self is a world-renowned tuba player who provided the voice the mothership in Close Encounters of the Third Kind as well as playing tuba on many other movie scores and studio sessions. Here, he gets to play the melody and take an improvised solo with a white-hot band that includes lots of Latin percussion and a full horn section. The tuba had a full-bodied sound, and the rest of the instruments were faithfully rendered. I’m a big fan of wind-ensemble music, so I listened to Arnold Schoenberg’s Theme and Variations, Op. 43a performed by the Cincinnati Wind Symphony on its album Soundings. I’ve played the euphonium part on this piece, and I could easily hear that part on the Everest 710GA. All the instrumental sections and solos were clean with superb separation of textures. Also, the dynamics were excellent, from the softest sections to the crashing climax. The Everest 710GA’s earcups fold in to make the headphones easier to pack. Donald Fagen’s The Nightfly is one of my favorite albums, so I listened to “I.G.Y.” The electric bass and kick drum had great impact—though they were slightly stronger than I have heard them in other headphones—and the horns were super-clean. Fagen’s voice was—well, Fagen’s voice; he’s not the best singer I ever heard, but his voice is certainly distinctive. I could also clearly hear each voice in the background singers. To test the deep bass of the Everest 710GA, I played “Magic Fingers” from UFO Tofu by Bela Fleck and the Flecktones. Victor Wooten’s bass was rich and full, though a bit too forward. These headphones clearly have no problem reproducing deep bass, nor are they troubled by the piercing high frequencies of the harmonica. Likewise, Fleck’s banjo and FutureMan’s synth drums were beautifully rendered. My wife called during one of my listening sessions; the music paused and I heard my ringtone in the headphones. I pushed the play/pause button to answer the call, which went as expected. Her sound quality was fine, and she said the same of mine. The level of her voice, however, was a bit lower than I would have preferred. I increased the volume for the call, but when we hung up and the music returned, it was too loud, and I had to turn it back down. Touching the JBL logo on the left earcup lets you speak to Google Assistant. Overall, I really like the sound of the JBL Everest 710GA headphones. It’s clean and effortless, with excellent delineation of instruments and vocals, great dynamics, and superb rendering in all frequency ranges. The only exception is that the bass in some content is slightly overemphasized. Also, the level of phone calls is a bit lower than I would prefer, and increasing it makes the music too loud after the call is over. Back on the plus side, the padded earcups and headband are very comfortable, even after extended listening sessions. I greatly appreciate the feature set, especially ShareMe 2.0, which lets you broadcast the music you’re enjoying to other Bluetooth headphones. I’m sure the built-in Google Assistant will be welcomed by many users, though I prefer not to use voice commands myself. The only feature I miss is active noise cancellation for noisy flights, though that would probably increase the price tag. Speaking of which, the Everest 710GA aren’t cheap at close to $250. That’s about in the middle of the pack represented by Rtings.com’s top five Bluetooth over-ear headphones: Bose QuietComfort 35 II ($349), Sony WH-1000XM3 ($348), Plantronics Backbeat Pro 2 ($199), Mpow H5 ($50), and B&W PX ($400). 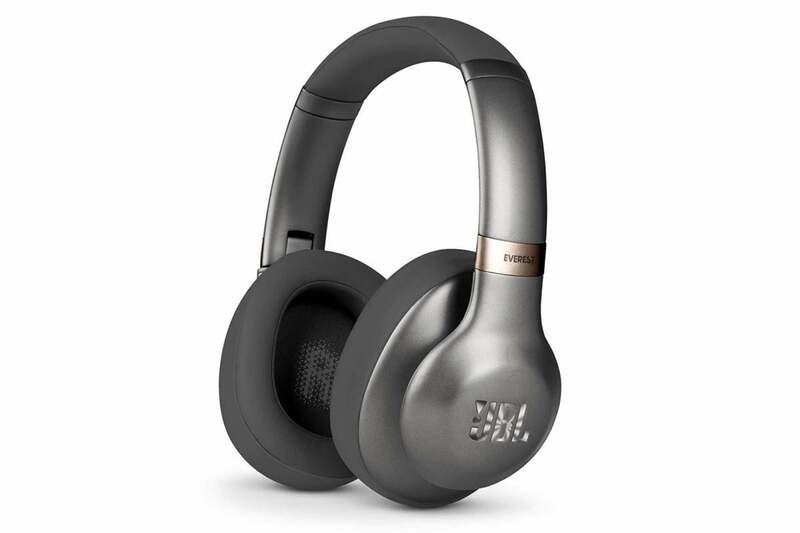 All of these models include active noise cancelling, and I know from personal experience that the Bose, Sony, and B&W models exhibit excellent sound quality. Also keep in mind those models are much more expensive than the Everest 710GA. 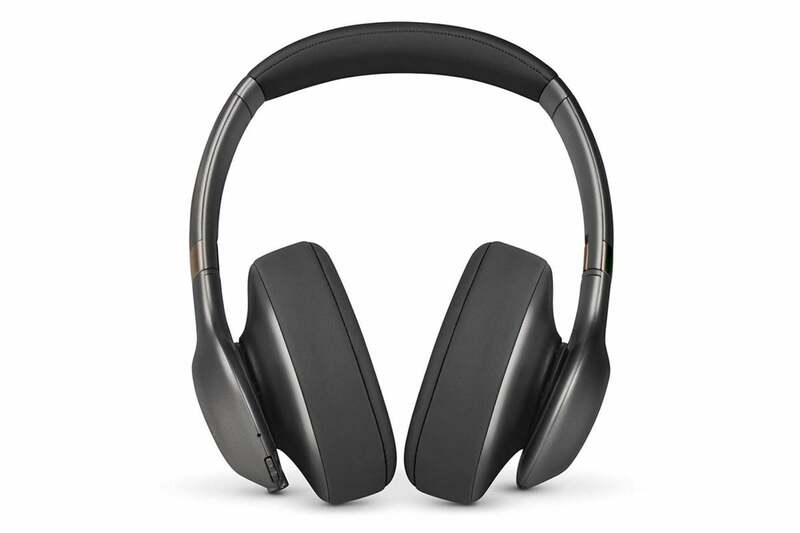 If you’re in the market for comfortable, great-sounding, over-ear Bluetooth headphones—and you can do without active noise cancellation—the JBL Everest 710GA are an excellent choice. 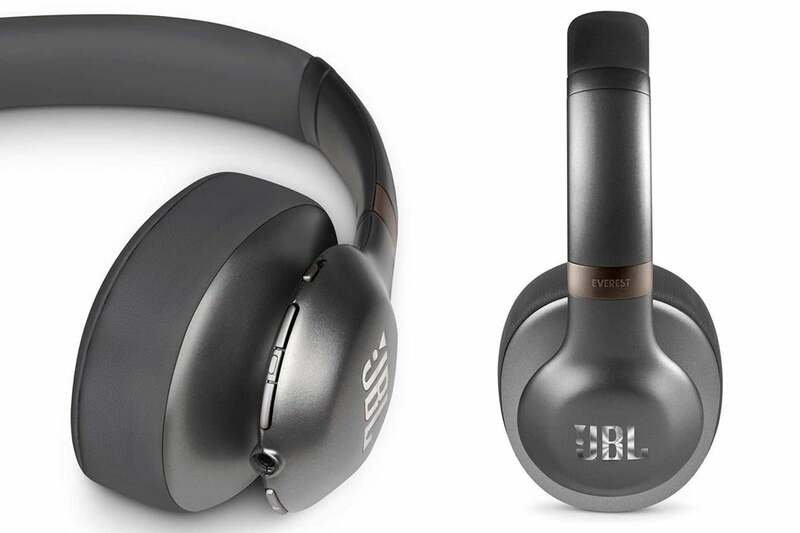 This story, "JBL Everest 710GA headphones review: Superb sound and Google Assistant on demand" was originally published by TechHive. These over-ear Bluetooth headphones sound great, and ShareMe 2.0 lets you broadcast your music to others with Bluetooth cans. Some will find the integrated Google Assistant feature handy, but they don’t offer active noise cancellation like many comparable models.